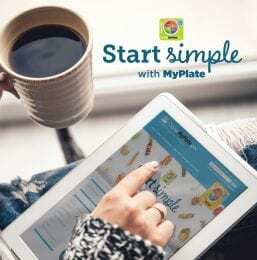 nutrition – You Asked It! Lettuce, spinach and other leafy greens are great sources of vitamin K.
New research shows that eating nutritious food can reduce mortality rates. This research was conducted by the Friedman School of Nutrition Science and Policy at Tufts University. They collected data from over 27,000 adults ages 20 and older. 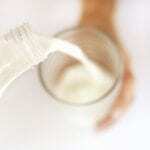 Higher rates of death from cancer when more than 1,000 mg/day Calcium were consumed from supplements. Since 1980, National Nutrition Month® has promoted nutrition to consumers during March. It is sponsored by the Academy of Nutrition and Dietetics. How can you promote nutrition? From social media to school events, incorporate simple nutrition messages. Organize a food donation drive for a local food bank. Explore ways to reduce food waste in your community. At schools, sponsor a coloring contest of fruits and vegetables. Take a field trip to a local farm. Offer nutrition education at a local grocery store. 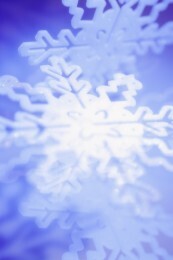 The holiday season is here and parties and gatherings are being planned to celebrate the season. Whether it is a small gathering or a large office potluck, remember to bring healthy treats to curb high-calorie snacking. Holidays offer many food temptations. Spread out the sweet treats so they are not lurking around every corner. Guests will appreciate lighter, non-sweet options more than you think. Parties can be stressful for some because they feel overwhelmed and forget that the season should be fun. This leads to mindless snacking and extra calories. Offer healthy choices such as using whole wheat bread for sandwiches and seltzer water with fruit instead of soda. Encourage people to take a walk to work off holiday stress and anxiety. Do you have several parties to attend? Plan ahead to help reduce those extra calories. Eat a small meal for breakfast with whole grains, fruit and protein. Don’t starve yourself thinking you’ll save room for party food. Take small bites and savor the delicious party foods. Go through the buffet once to reduce nibbling. Above all, take time to relax and enjoy the holiday season! Do You Choose Lower Fat Foods? How many times a week do you go out to eat? This activity is a part of the American way of life. In fact, households at more than 300 percent of the Federal poverty guidelines dined away from home 5.5 times per week. Households with income less than or equal to Federal poverty guidelines dined away from home 4.2 times per week. 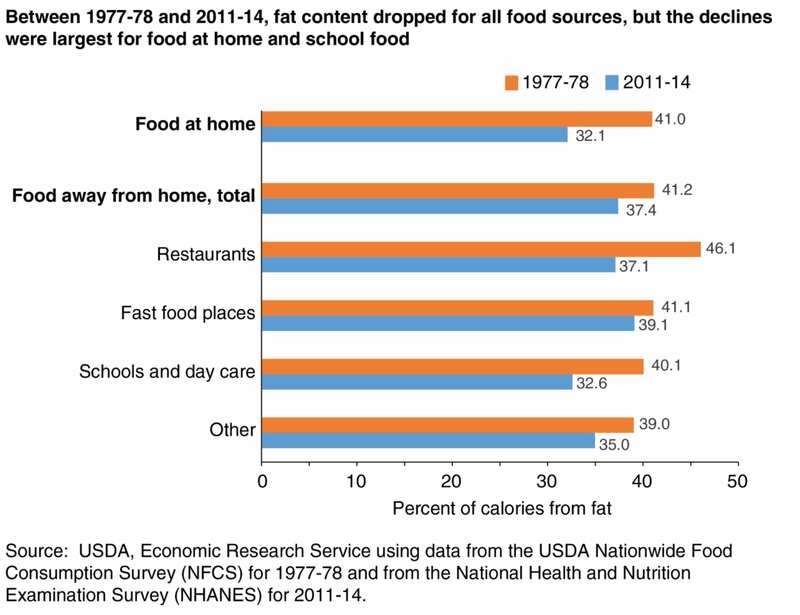 In 1977-78, Americans consumed 17.8 percent of calories away from home. By 2011-14, away-from-home food calories increased to 33.7 percent. But, the fat calorie consumption has decreased! 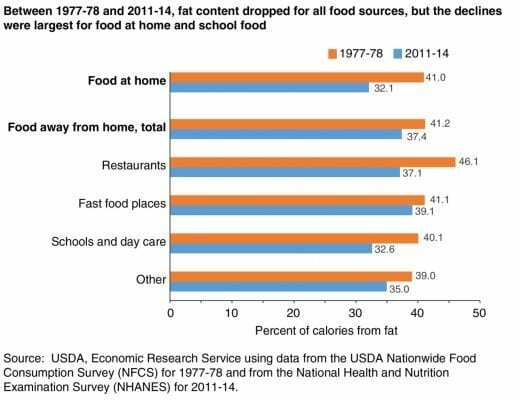 In 1977-78, fat calories made up 41 percent of total calories in foods served at home and away from home. By 2011-14, fat calories decreased to 32.1 percent in foods served at home and 37.4 percent in foods eaten away from home. The decrease in fat calories could be due to changes in school lunch guidelines, restaurant menu labeling of nutrition information, and other factors. FITS is a survey of national estimates of early feeding behaviors which can influence the development of dietary guidelines. When toddlers reach the age of two, many have established food preferences that can last a lifetime. So parents should do their best to get toddlers eating behaviors established early. 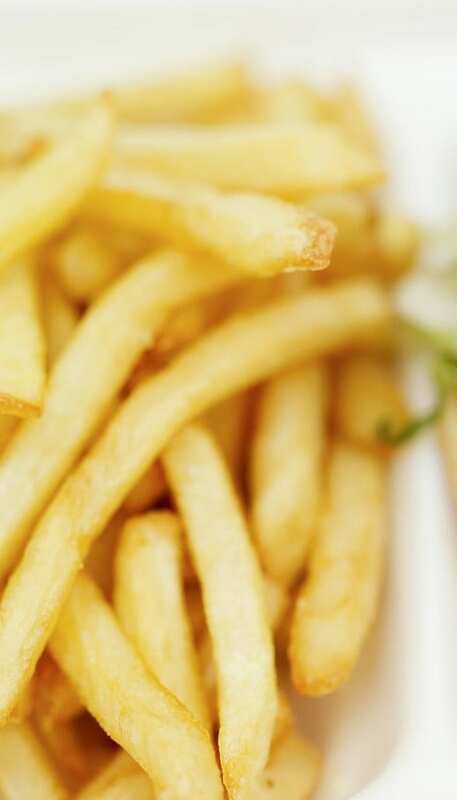 In a study published in the Journal of Nutrition, they found that while toddlers eat vegetables, the number one choice is french fries. 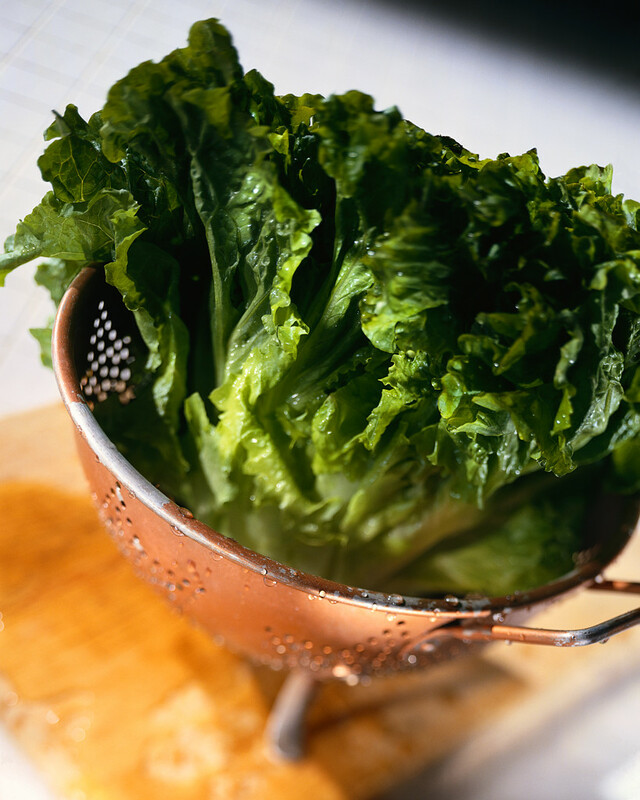 Only 18% of infants, aged 6-12 months, get the recommended amount of iron. Less than 25% of infants get the recommend amount of vitamin D.
Sodium intake is high. Of 1-year-olds, 40% exceed the upper limit of sodium; of children aged 2-3, 70-75% exceed the upper limit of sodium intake. Gut health is important for a healthy quality of life. Maintaining good gut health can help prevent disease, enhance health, help you live longer and improve physical and mental performance. Therefore, many people consume probiotics and prebiotics to improve gut health. Probiotics are live microorganisms that, when administered in adequate amounts, can give a health benefit. When consumed regularly, they help enhance the immune system. They are found in many yogurt products, beverages and even certain candy products. Prebiotics are non-digestible oligosaccharides that survive digestion and move into the colon. These are found naturally in fiber-rich foods or added into foods. 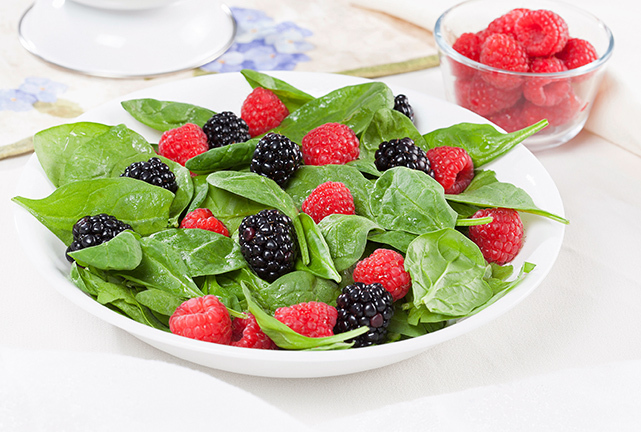 The best foods include bananas, berries, legumes, onions, leeks, whole grains, nuts and seeds. Learn more from this presentation at www.youtube.com/watch?v=HlREYWHA4NQ, https://bit.ly/2xiiC54 and https://bit.ly/2p5JxgG. Fish oil supplements have been touted as beneficial for the heart and eyes. But, a meta-analysis of 10 clinical trials with almost 78,000 participants showed that the fish oil caplets are of little benefit to patients with heart disease. Another study, regarding dry eye disease, also concluded that fish oil supplements are not beneficial. This study compared fish oil supplements with olive oil supplements. Evidence still supports the benefits of eating eight ounces of fish per week to reduce cardiovascular disease risks.